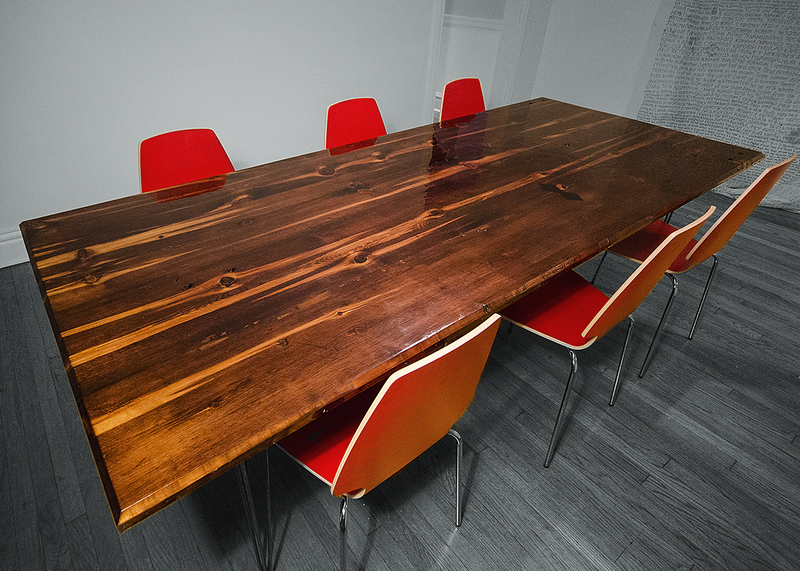 This is an 8′ x 3.5′ x 1.5″ dining room table, built from salvaged old growth lumber. The legs are raw steel, three prong hairpin legs. The couple that commissioned this table have many potluck and community dinners and needed a finish that was highly durable. Because of this, I coated it with a two part epoxy resin which ends up creating a durable surface much like glass. 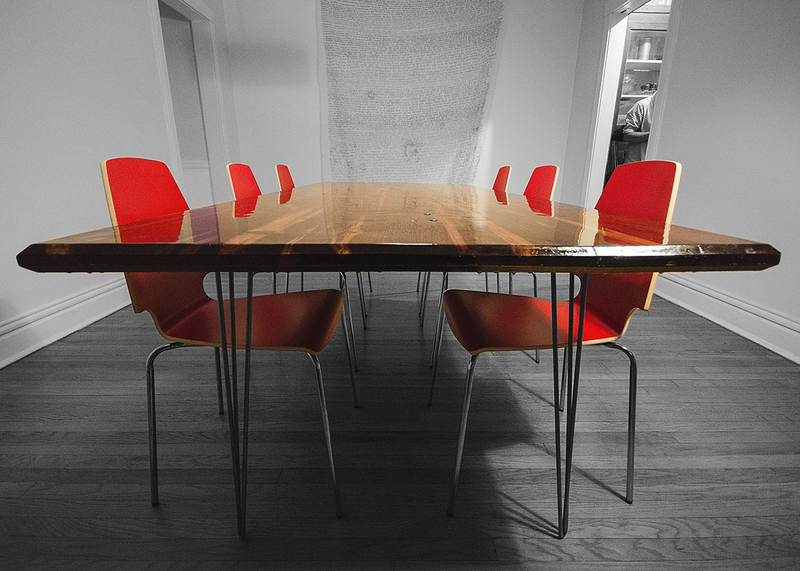 The size and durability of this table make it perfect for a large dining room and lots of people. 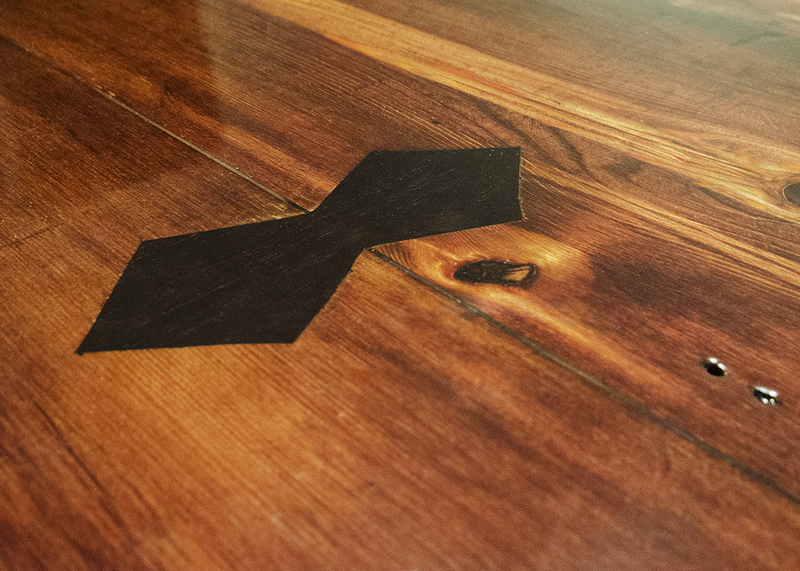 Custom bow tie joints are utilized to secure cracks in the lumber and increase the longevity of the table. 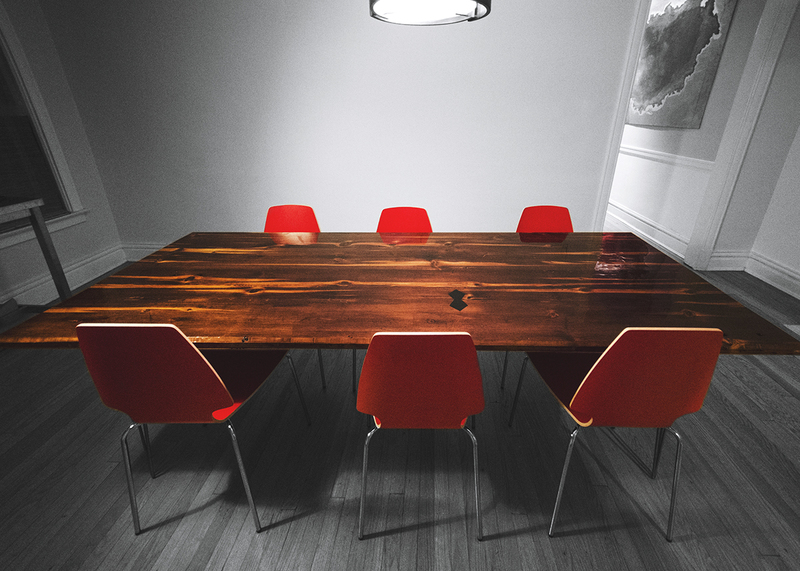 Many furniture builders try to avoid knots and gnarled grain. 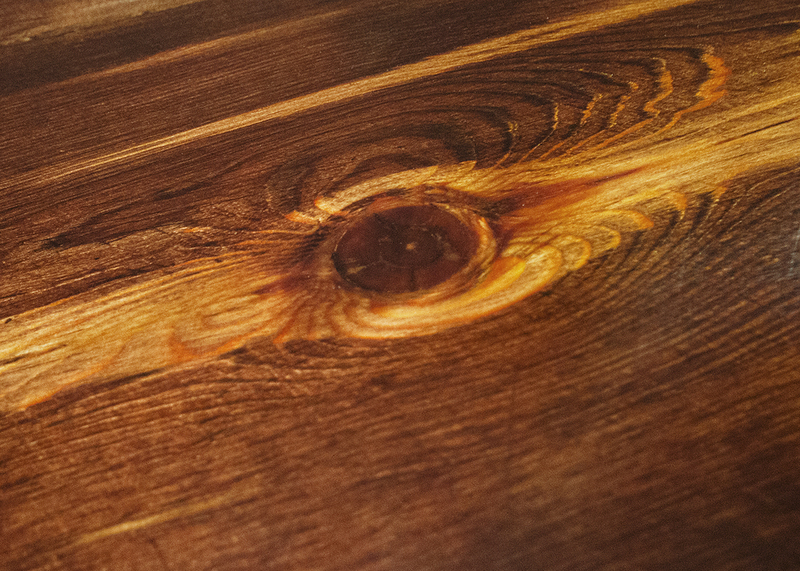 We believe that they are a part of the beauty of lumber, especially in old growth wood. The depth of these characteristics become focal points on the canvas that is an exposed wood tabletop. 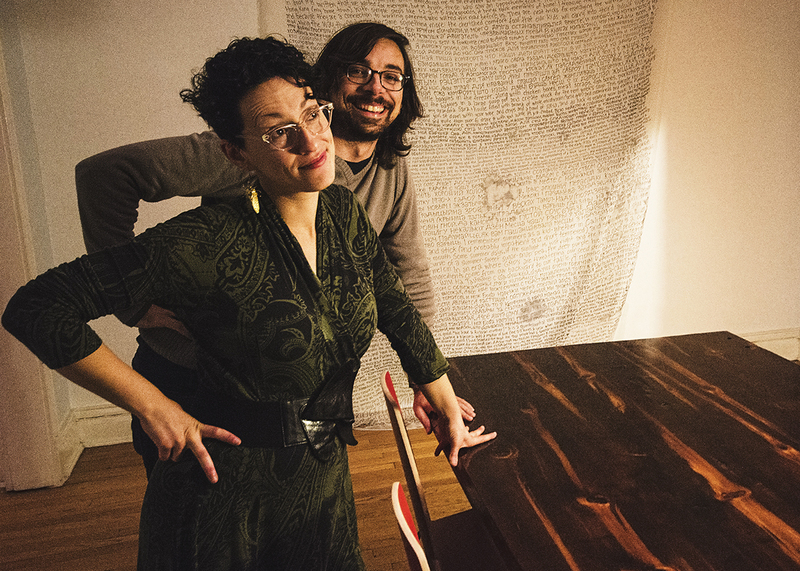 Irina and Abe, proud new owners of an RHTimber dining room table. That is a beautiful table. Can you e-mail me to discuss the possibility of commissioning something similar? Absolutely, Josh. I sent an email to your gmail address that was listed.